One of the major desires of iPhone users is a way to view data on iTunes backup. 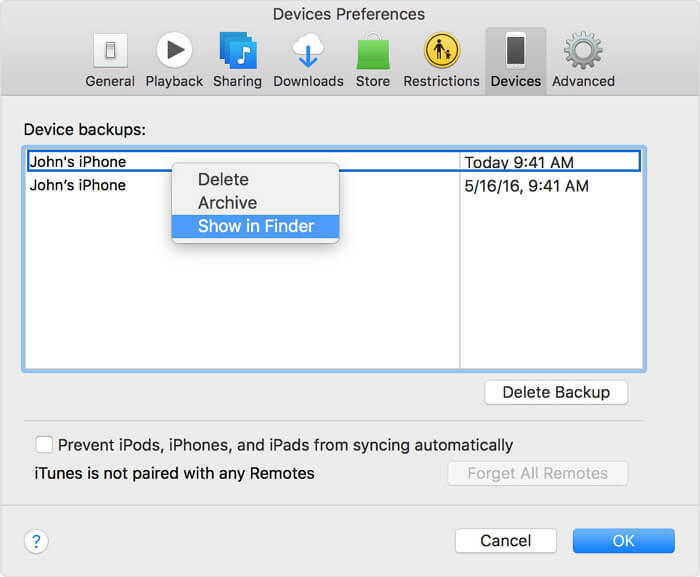 For years, displaying data in iTunes backup is almost impossible, let alone doing so free. Right now, this has been effectively solved. And the best part is that you can view your iTunes backup for free. Want to know how to do that? Alright, let us roll. From the Menu bar, click on iTunes. Control-click the backup of your choice. From the list, select Show in Finder. That is it. From that moment, you can check your iTunes backup freely. However, if you are using Window 7, 8, or 10, follow these steps below to see iTunes backup. First, find the Search bar in the Window you are using. Click on the magnifying glass (for Windows 8). Click on Search bar directly (for Windows 10). Find MobileSync and double-click it. That is it. You can now view your iTunes backup free. No doubt, you are excited about these simple steps to find backups on your computer. However, do you know that even after you locate your backup on your Mac, you can only view the time and not specific contents? You are disappointed, right? Wait a moment. We have a different solution to enable you to view your iTunes backup contents clearly and for free. What is it? Welcome iMyFone D-Port! iMyFone D-Port iTunes Backup Viewer is a top data exporter that can be used to view iTunes backup for free. 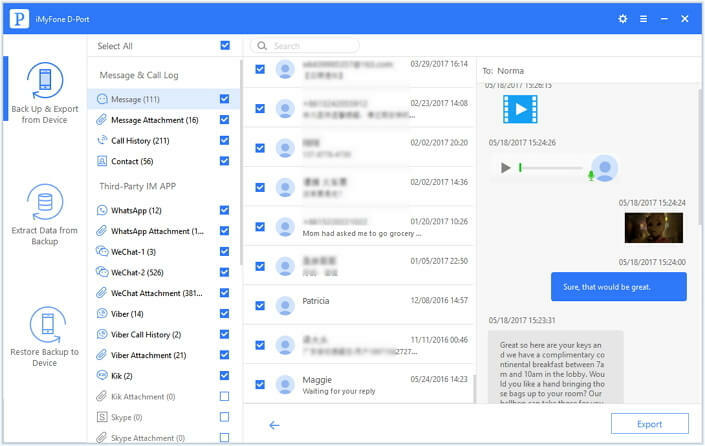 It works for iOS devices and acts as a backup software program that is useful for exporting your essential data from iPhone, iPod touch, iTunes, and iPad to computer for easy access at any time. The software program can help view iTunes backup on both Mac and Windows computer. Support 20 Different Files for iTunes Viewing: You can view about 20 different files in iTunes backup using D-Port. It is the best to see those file contents you could not see in your backup on Mac. 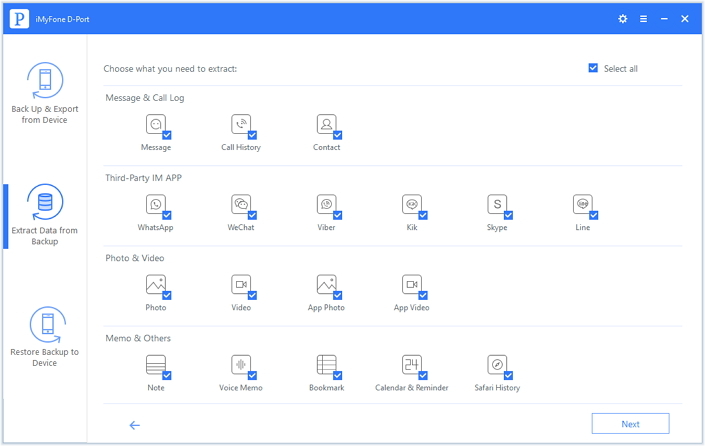 Third-Part IM Apps: Instant messaging apps like WeChat, WhatsApp and much more can be viewed too using iMyFone D-Port. This is not possible with the method one. iTunes and iCloud Backup: Viewing iTunes and iCloud backup without restoring them to an iOS device is a tough thing. But, D-Port has solved that problem. You can directly view iTunes and iCloud contents without restoring them to any iOS device. 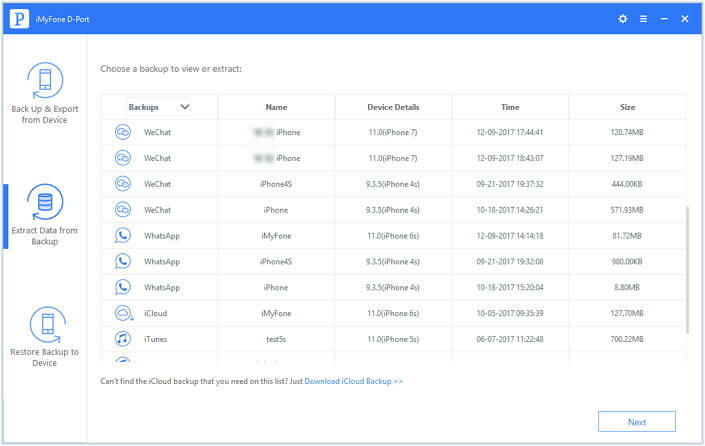 Export to Computer: iMyFone D-Port can also be used to export iPhone data to the computer quickly. Step 1. First select the iTunes backup from the backup list after you click the tab "Extract Data from Backup" and click "Next." Step 2. Then you can check all the types of data that iMyFone D-Port supports to view from the iTunes backup. Check the one(s) you need and then click Next. Step 3. Then the program will scan the data you chose in the iTunes backup. After the completion of the scan, a list of your data in iTunes backup will show up. You can now view them! That is it. As you can see, it is easy to view iTunes backup using iMyFone D-Port. However, it is important to know that the software has free and paid version. The free trial version can help you view your data in iTunes backup as outlined in the steps above. If you want to go further by exporting the data to the computer, you have to go for the full paid version. Indeed, viewing iTunes backup has never been this easy! With iMyFone D-Port iTunes Backup Viewer, you can get a lot done on your iPhone and other iOS devices you may have. Just take a look at the features of D-Port again and be convinced.